It’s a job that’s more likely to attract testosterone-fuelled exercise freaks than a mild-mannered 30-something woman. But for Eva Ballin, life as Edinburgh‘s only female cycle courier has proved to be an enjoyable eight-year career spent proving that girls can work just as hard as the boys. The 38-year-old, who lives in Liberton, has been working for Scotland’s leading independent courier firm Eagle Couriers since abandoning her PhD in 2000 and currently cycles dozens of miles across the city every day while delivering important documents for the Capital’s major businesses. Eva, who moved to the Capital from her native Germany in 1992 and studied at Edinburgh University, had originally planned to just spend a summer working as a courier, in order to stay fit and healthy while searching for a new career. But she found the job so enjoyable that she decided to continue working as a full-time courier – becoming the only women to perform the job in the Scottish Capital. And every day, her work means that Eva cycles around 80 miles across the city – roughly the same distance that Olympic gold medallist Nicole Cooke would cover in an average training session. She said: “The cycling is hard work but it’s also an ideal job to do if you enjoy being out in the open and keeping fit. I’ve had days where I’ve travelled 80 miles or so and it keeps me feeling fresh and energetic. I just couldn’t do a 9-5 desk job now, because I would find it too constricting and boring. “I suppose it seems like a very macho kind of job, especially as most of the couriers you see tend to be very fit, toned guys. It’s not really the sort of career that you expect to see many girls in. “When I first started, I remember being quite intimidated by all of them as they looked like they were much fitter and faster than I was. I was worried that they’d think I wasn’t as good as they were because I was a girl but, as I soon found out, that couldn’t have been further from the truth. “Everyone I’ve worked with over the past eight years has been absolutely brilliant. There’s a real camaraderie between couriers, even though most of us work for different companies and we regularly meet up after work, go out for drinks together and moan about all the drivers and roadworks in the city. Eva, who also works as a part-time personal trainer and teacher, decided to become a cycle courier after hearing a friend who had previously worked in the courier industry recommend it as a good summer job. She added: “I did my degree in Edinburgh and, a few years after graduating, I eventually started studying for a PhD in German cinema but I soon found out that it wasn’t really what I wanted to do. I wasn’t keen on a career spent in academia, so when a friend of mine told me about a summer she’d spent as a courier in Berlin, I just thought it sounded fantastic. “It’s nice that, even though we’re sending so much information electronically through e-mails these days, there are still couriers on bikes being used to deliver letters and important documents. We take a lot of confidential letters, solicitors’ deeds, keys and printing from office to office and, in Edinburgh, the quickest way to get across town is by bike. Fiona Deas, director at Eagle Couriers, said: “Eva has been with us for eight years now and she’s one of the most experienced cycle couriers in Edinburgh. There are a lot of men employed in this profession, so it’s really good to see that she’s showing them all that women can be just as good at the job. “I know she enjoys the freedom that cycling gives her and the fact she gets to keep fit and healthy while working. At Eagle Couriers we’re also keen to keep employing cyclists like her, as they help cut pollution and are a great green alternative to using vans or motorbikes in the city. 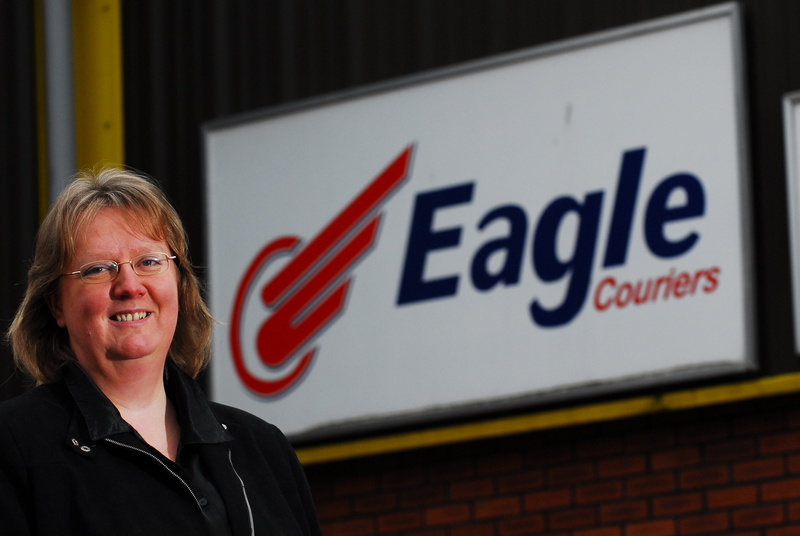 Eagle Couriers is Scotland’s leading independent courier company and employs more than 100 people between Edinburgh and Glasgow. The company currently has major contracts with the BBC, BT, the Scottish Government and NHS Scotland. Click on the following link to find the best testosterone replacement therapy – https://mantalityhealth.com/low-t-clinic-in-milwaukee-wi/.